We make the implementation process as straightforward, transparent and easy as possible – so when you are implementing the solution you can still manage your other roles and responsibilities. When you start the implementation process, your assigned Service Implementation Manager will give you access to our project management software. This is a private portal with a list of actions which need to be completed to keep the project on track. You know what to expect and it is clear what you need to do. You are in complete control and there are no surprises. Your dedicated Service Implementation Manager ensures you follow our best practice framework – giving you the knowledge to use the system to its maximum effectiveness. When you implement a new system, you need to make sure it reflects the unique needs of your business. We guide you through the entire implementation process. Over the past 22 years, we’ve successfully implemented over 400 systems in complex, heavily-regulated organisations across more than a dozen different sectors. Despite the differences in regulation in those sectors, the challenges businesses face are remarkably similar, whether we’re dealing with a global manufacturer or a growing medical device organisation. It’s all about keeping things simple to limit the need for training and to make sure the system is adopted by as many employees as possible. We selected Qualsys's GRC solution as it can be operated on various platforms. We have a number of Linux users so the software had to operate under this environment as well as Windows. Qualsys have been very supportive during all phases of the project (Dave Beard in particular) and we look forward to becoming a long-term client. All our services follow best practice frameworks which help make your project run smoothly. Benefit from our experience of over 400 successful implementations. Your project is in safe hands. Our configuration support services join best practice with technology. We provide a range of configuration services to make our software work for your business. We consider ourselves, first and foremost teachers, and here to mentor you through your journey. It's no different when it comes to training your employees on how and why they need to use the system you have invested in. Here's more on our approach to training. It's easy to feel overwhelmed when you need to replace your legacy systems. However, help is at hand. We can help you move data, documentation and forms. Employees are the most valuable asset when rolling out a new system, but engaging employees is often the most overlooked part of the project. Here's how we work closely with you to keep all levels of your business involved. 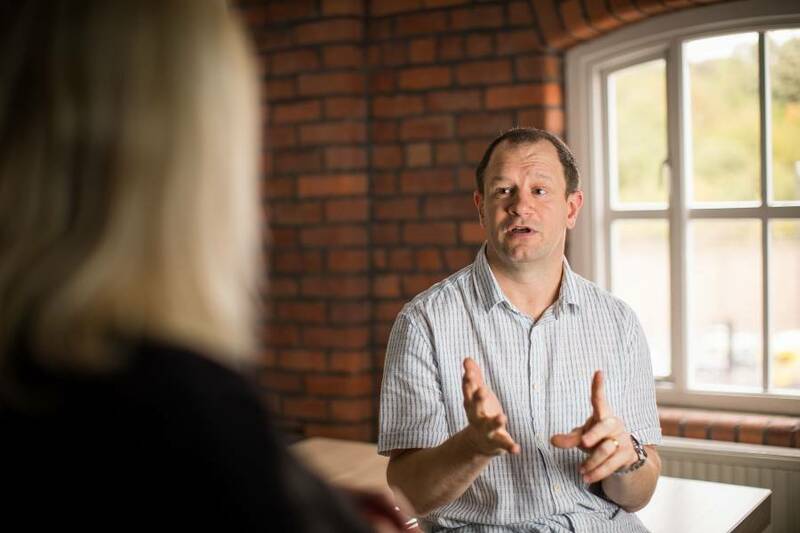 Mark manages the end-to-end implementation process of our grc software, making sure that the system is configured to best fit our client's requirements and providing the essential training. He has over 15 years' experience in technical roles, implementing solutions for the NHS and other highly-regulated and complex-structured organisations across the globe. In his spare time, Mark enjoys watching Sheffield United and spending time with his family. After four years working with quality systems and procedures in the world of engineering, Declan brought his practical knowledge and experience with him to become part of the Qualsys team. In his spare time Declan is interested in writing and filmmaking. Over 8 years’ experience implementing services and software into the Postal and Workforce Management industries. I hugely enjoy working closely with customers and providing one-to-one and classroom lead training. I am looking forward to working in the Governance, Risk and Compliance industry and living and working in Sheffield. In my spare time I enjoy playing pool and watching football – and family time! With two young daughters at home, Dave’s a dab hand at organisation. He’s been implementing software for many years, managing large projects for an NHS IT supplier before joining Qualsys in 2016. Dave uses his vast knowledge and expertise to guide customers through the process of implementing our software. Outside work, you’ll find him cycling, running or playing roller hockey. Jayney has had quite the career – florist, mental-health nurse, travel rep, hotel manager. She’s even worked at Qualsys before. Since returning in 2015, she’s managed our installations and upgrades and provided crucial support to our implementation team. Though Jayney sees Qualsys as one big family, her actual family takes up most of her time – and she wouldn’t have it any other way! Liam is a key member of the service implementation team, helping to train and configure EQMS for our new customers. As Operations and Infrastructure Manager, I enjoy the working environment, meeting new people and facing new challenges. I have over 19 years of IT experience working in the healthcare sector in a number of customer facing and technical roles, before moving into management. In my spare time I enjoy being outdoors with my family, football and playing golf.